Visitors to religious sites are often hoping to see things in a different light. 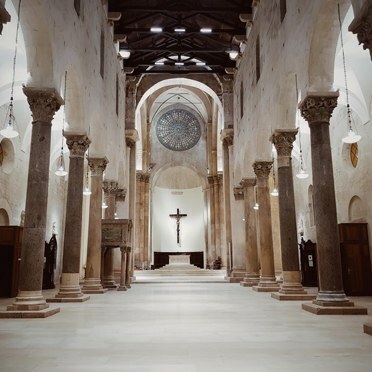 Now an impressive new lighting solution in Troia Cathedral in Italy is helping people do exactly that, as a new LED installation shows how the latest technology can be used to tastefully showcase classic interior architecture. Troia Cathedral in the southern Italian region of Apulia is one of the jewels of Apulian Romanesque architecture. Originally dating from the 12th century, the cathedral is famed for its splendid facade that features a central rose window packed with symbolic meanings and magnificent bronze doors surrounded by intricate decorations. The building has changed little in the last 900 years, making it a popular destination for both worshippers and those interested in ancient religious sites. 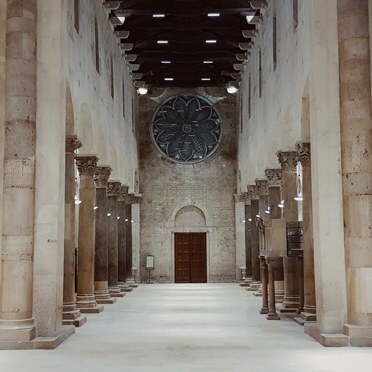 The imposing interior is arranged in the shape of a three-nave Latin cross that is divided by thirteen marble columns. Other notable features include the old stone pulpit and two side chapels dedicated to the patron saints and the Assumption of the Blessed Virgin Mary, from whom the cathedral takes its name. A beautiful wooden crucifix carved by Pietro Frasa and mounted in the semi-circular apse recess completes the fine interior. 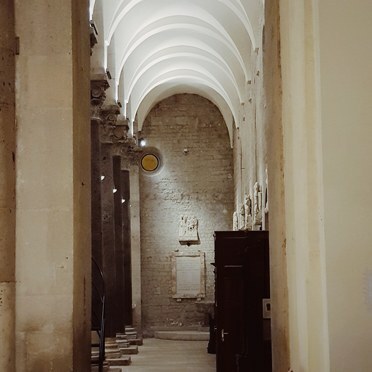 The renovation of the lighting system took place following an agreement between the Diocese of Lucera-Troia (the legal owner), the Puglia regional authorities (the financing body) and the Municipality of Troia (the main client). The project was supported by the architects Stefano Cibelli and Piero Guadagno and included inputs from Giordana Arcesilai, one of the world´s leading lighting designers. This combination has helped to plan and realise an installation that both enhances the building and respects the original structure and function, carefully picking out every architectural element and each artistic detail. Thorn and acdc from the Zumtobel Group provided luminaires for a lighting concept designed specifically to take the various ceremonial, artistic and architectural aspects into account. All the fittings in the cathedral are dimmable and connected by a lighting management system, helping to lower energy efficiency and increase versatility. As a result, the sombre lighting required for a religious service can be quickly and easily replaced with a creative lighting mood for visiting tourists using a handy touchscreen. Various luminaires from Thorn work together to put the interior of the cathedral in a sacred new light. A series of Satin 2 fittings has been mounted discreetly along the roof beams to highlight the vaulted ceiling and arches. These linear LED products with an asymmetric optic and a colour temperature of 3000 K can be installed directly next to each other, helping to deliver excellent uniformity throughout the nave of the cathedral. Satin 2 fittings with the same combination of optic and colour temperature have also been suspended on cables to illuminate the altar area. Compact LED architectural floodlights from the QBA portfolio focus attention on the crucifix and fine paintings, while roof-mounted QBA floodlights with a prismatic glass provide general illumination. 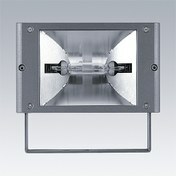 At the same time, high-output Thorn Contrast 2 LED floodlights add pleasant indirect lighting. The impressive new lighting solution in Troia Cathedral is rounded off with architectural LED products from acdc. Integrex linear wallwasher luminaires illuminate the arches, while powerful and versatile Artemis spotlights with a narrow beam optic have been chosen to focus attention on the Stations of the Cross. Customised LED modules installed in the old alabaster luminaires help maintain the special atmosphere in this unique location. As the case of Troia Cathedral perfectly demonstrates, the careful planning and installation of the latest LED technology can put historical architecture in a whole different light. New luminaires pick out classic old features and enable the realisation of flexible lighting scenarios to offer visitors a divine experience – in every sense.